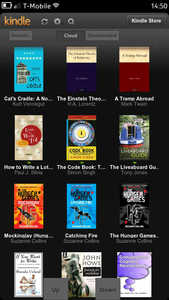 Erudite makes it possible to use Amazon’s Cloud Reader on various mobile platforms which aren’t officially supported by Amazon. You can either read books online, or download them for reading offline. 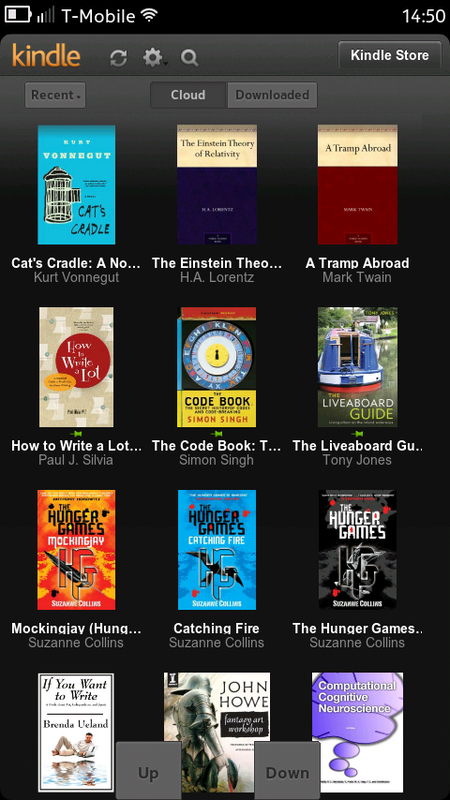 Your progress in a book is then also kept synchronised between your phone and other Kindle devices. Until recently Erudite only supported MeeGo Harmattan and Mer based phones (such as the Nokia N9), but now it’s also available for Symbian Belle phones as well. I’ll try and put together a build for Symbian Anna phones in the near future. There’s a fairly comprehensive review of Erudite for Symbian over on All About Symbian: Erudite review. In the next release for both Symbian and MeeGo I’ll be focusing on orientation switching support, so users can optionally view their books in landscape mode, as well as investigating some apparent issues with very large books.